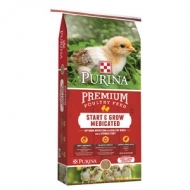 Purina Game Fish Chow is an excellent balance of nutrition coupled with strong growth characteristics. 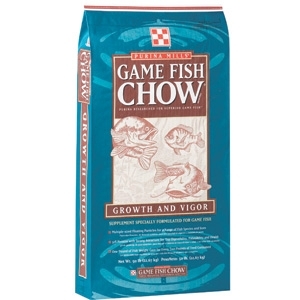 Purina Game Fish Chow is what catfish love to eat. People in turn, love to eat catfish, which have a sweet, mild flesh. Ictalurids are cultivated in North America (especially in the Deep South, with Mississippi being the largest domestic catfish producer). The fish, mostly channel catfish and blue catfish, are found in most waterways in the region, and are typically breaded with cornmeal and fried when served as people food. Catfish are easy to farm in warm climates, leading to an inexpensive and safe food for local grocers to carry which has further increased its popularity in the U.S. as food. Purina Game Fish Chow has multiple-sized floating particles for a range of fish species and sizes. 32% protein with strong attractant for top digestibility, palatability and health. It is important when stocking catfish, not to exceed 4,000 fish per acre.